Four Chambers Press presents poet Jeredith Merrin and her latest chapbook, Owling. Merrin will be reading at The Coronado on Thursday, November 17 at 7 p.m. For more information, please visit the Facebook event. 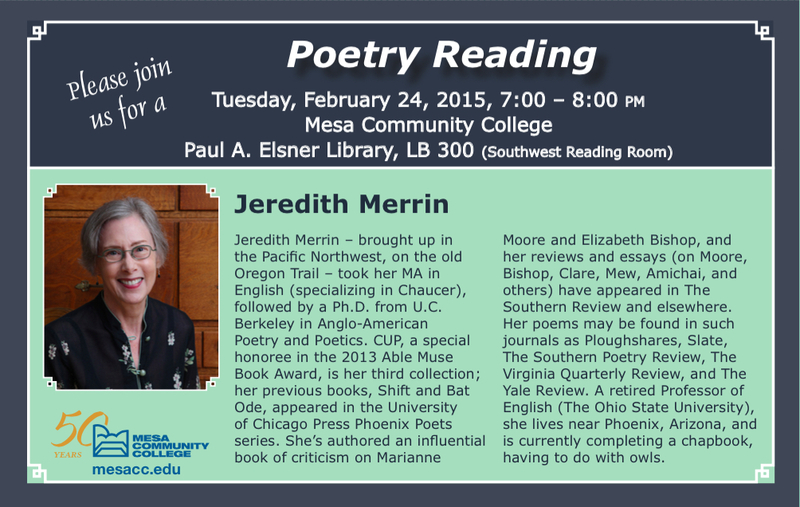 Jeredith Merrin, brought up in the Pacific Northwest, took her MA in English (specializing in Chaucer), and a PhD from UC Berkeley in Anglo-American Poetry and Poetics. 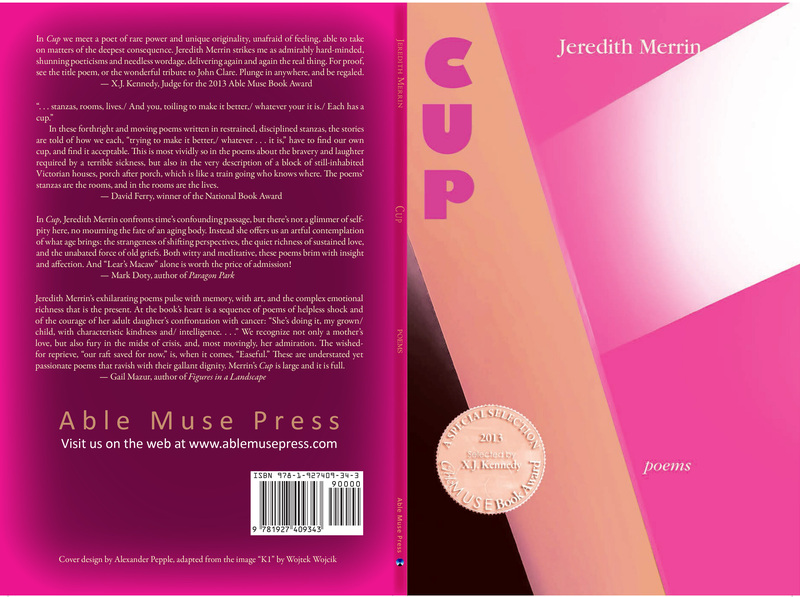 Cup, a special honoree in the 2013 Able Muse Book Award, is her third collection; her previous books are Shift and Bat Ode (University of Chicago Press Phoenix Poets series). She’s authored an influential book of criticism on Marianne Moore and Elizabeth Bishop. Her reviews and essays (on Moore, Bishop, Clare, Mew, Amichai, and others), and poems have appeared in Paris Review, Slate, Ploughshares, Southwest Review, Yale Review and elsewhere. A retired Professor of English (The Ohio State University), Merrin lives near Phoenix.